Marvel’s Punisher will be a 3rd series next year on Netflix, and has added another 3 cast members today while the production in New York kicks up. As many fanboys and girls will know, Russo is not only Castle’s former best friend, but also known as the dastardly Jigsaw. The character was created by Len Wein and Ross Andru, and first appeared in Amazing Spider-Man #161 in October 1976. Jigsaw is The Punisher’s most heinous villain who has no compunction of killing his enemies. We’ve seen a previous version of the cad in Lexi Alexander’s Punisher: War Zone as portrayed by Dominic West, back in 2008. 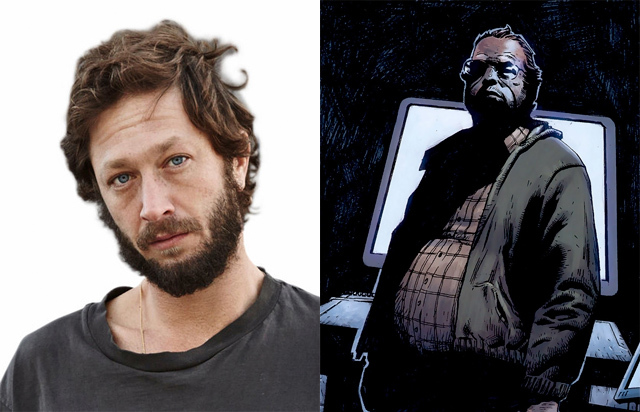 Another hold over from War Zone is the character Microchip (Wayne Knight), and today Ebon Moss-Bachrach (“Girls”) was announced to be playing Micro, ‘…a former NSA analyst whose secrets may be of great value to Frank Castle and everyone around them.’ We saw an allusion to the character at the end of Daredevil season 2, episode 13 titled ‘A Cold Day in Hell’s Kitchen’ with his name emblazoned on a CD with supposed secrets of Castle’s time in the military. 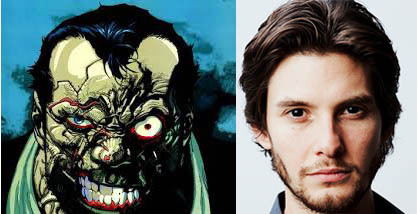 David Lieberman aka Microchip works alongside the Punisher in the comics assisting Castle in building weapons, supplying tech, and providing intelligence information on targets. He first appeared in the comics in The Punisher, Vol, 2, #4 in November 1987 as a creation of Mike Baron, and Klaus Janson. Before he was referenced in Daredevil season 2, there was an allusion to the character on Marvel’s Agents of S.H.I.E.L.D. in season 1 when Skye aka Daisy aka Quake (Chloe Bennett) said she knew a fellow hacker named ‘Micro’. The final addition today is Amber Rose Revah (Indian Summers) who joins as Dinah Madani, ‘…a highly-trained sophisticated Homeland Security agent who is vexed by the Punisher.’ The character doesn’t have a direct comics corollary, but is the classic Marvel/Netflix of the establishment figure trying to find out who the hero/vigilante is, and bring them in ala Misty Knight (Simone Missick) in Luke Cage, and Ben Urich (Vondee Curtis Hall) in Daredevil season 1. “We couldn’t be more thrilled about the remarkable talent joining Jon Bernthal in Marvel’s The Punisher. Ebon, Ben and Amber are incredibly talented actors and we can’t wait to see them bring these characters to life,” said Jeph Loeb, Executive Producer and Marvel’s Head of Television. Marvel’s Punisher may premiere at some point in the middle of 2017 while Marvel’s Iron Fist debuts on Netflix on March 17, 2017, and Marvel’s The Defenders hits toward the end of 2017. CBTVB: Netflix Orders a Punisher Spin-Off from Marvel TV!! !